As a disobedient object, originated from civil disobedience, means fight, in any ways, against superior authorities, such as government, big corporation, mainstreams, dogma, etc. Disobedient Electronic, therefore, is an object that triggers discussion on controversial topics using electronics device. 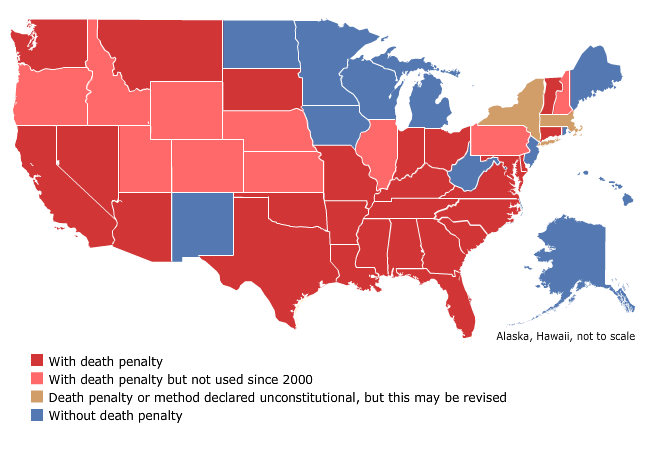 Till today, among 195 UN countries, there are still 55 of them retain capital punishment. Some of these countries are regarded high score in Human Right Index, such as United State, Japan, Singapore. While China remains to be the country that executed the most capital punishment, followed by Iran and Saudi Arabia. According to Amnesty Internationals, there were at least 998 executions in 23 countries in 2017, down by 29% from 2015 (1634 executions). And at least 21,919 people were known to be on death roll by the end of 2017. We started this week’s assignment by thinking about topics that we are interested in talking about. We landed on the questioning of capital punishment, through which an authority deprives the right of one being an human, based on its own judgement, through irreversible and coercive method. Through this project, we hope to arouse a discussion on this government-sanctioned practice whereby a person is deprived of right of being alive as a punishment for his/her crime judged by authority. Should an authority have such power to terminate one’s life? it will trigger vibration sensor and display name and also last words of them through LCD Screen in order to demonstrate that the death penalty is a symptom for the culture of violence but not a solution. The data is an csv file and we used P5 as a platform to deal with the logic: what information should be shown at this moment. Then transfer the information through serial communication to Arduino and then display on the LCD screen.